Frequent flyer virtual malls are all abuzz with pollen-filled bonus miles and many other Mother’s Day deals. Although flower purchases offer the most miles per dollar and significant flat-rate bonuses, there are plenty of options for earning extra miles. It’s a win-win situation–a gift for mom and some miles for you. FTD has quite a few offers right now. The American Airlines and United online shopping malls are both offering 30 miles per dollar spent at FTD. If you shop through Delta’s mall you can get 35 miles per dollar. The AAdvantage miles are available through May 11. Delta and United’s offers do not have clear expiration dates so they could change or disappear at any time. 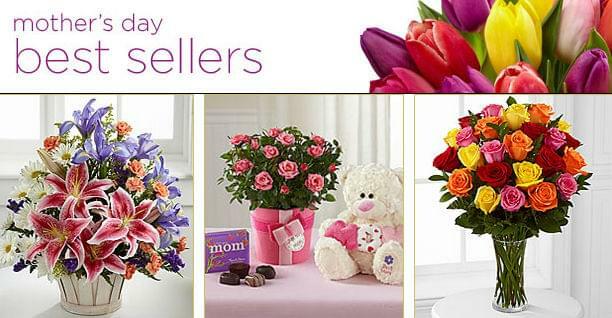 Remember, you can place an order prior to the delivery date, so you can order now for delivery on Mother’s Day. There are several offers from 1800Flowers as well. If you are a member of the Southwest or JetBlue frequent flyer programs, you can earn some substantial points. Place an order of $29.99 or more and get 1,000 Rapid Rewards points or 1,500 TrueBlue points. If you are a member of Alaska Airlines loyalty program, you’ll earn 20 Mileage Plan miles per dollar spent. United MileagePlus Shopping has several featured offers for Mother’s Day. Many beauty, health and fashion vendors, such as Sephora, The Body Shop and David Yurman, are offering three miles per dollar spent. You can also earn double the usual miles at Macy’s and Sears, where you usually earn two miles, but both retailers are currently offering four miles per dollar. JCPenney is giving 15 percent off, as well as six miles per dollar instead of the usual three. At American Airlines AAdvantage eShopping, Macy’s is tripling the usual bonus of three miles per dollar to nine. Snapfish purchases also earn nine miles. Kohl’s is quadrupling their bonus miles from two to eight. This is the best portal for shopping at Kohl’s. United is only offering three miles and Delta is offering six. In addition to matching American Airlines’ Snapfish offer of nine miles per dollar, Delta SkyMiles Shopping is featuring four miles per dollar with Blue Nile, and six miles with David Yurman, JCPenney and Starbucks. There are many options if you want to be nontraditional and skip the Mother’s Day flowers, but buying from FTD or 1800FLowers will earn you the most return for the sentiment. Remember, just because you order from a flower shop, your only option isn’t flowers. Both FTD and 1800Flowers offer a wide variety of gifts, and they even have partnerships with companies like Starbucks, Mrs. Field and many others.